This THP is 10 miles east of Trinidad, CA and just south of Redwood National Park at an elevation of 1,450 to 1,800 feet. 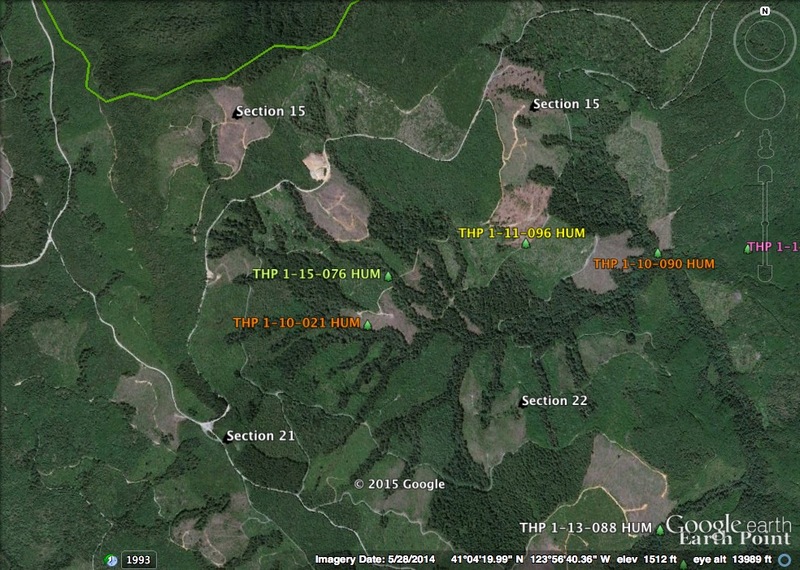 Green Diamond Resource Company is planning a mostly clearcut tractor and cable logging operation in redwood, western hemlock and Douglas fir forests. The THP area flows into Redwood Creek which is listed as impaired for sediment and temperature and contains coastal cutthroat trout, steelhead and coho salmon. 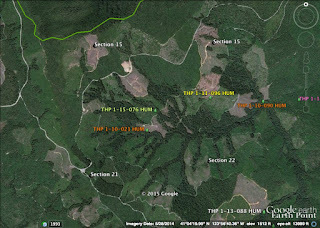 There are multiple landslide terrain sites including a debris slide in the central portion of unit A, disrupted ground along the southern portion of unit B, a slide feature along the boundary creek in unit C, and deep seated landslide terrain inside unit D. Green Diamond Resource Company is planning to use a yarder within portions of a class II (mid sized) watercourse along the CR 2900 Road to sort and load logs. 7 road drainage sites are planned for work including rocking, dip construction, culvert repair/replacement and restoration of washed out crossings. Running pine was reported in unit F, and there are spotted owl nesting territories within .25 mi of unit A, and within .5 mi of unit B. More information is available on the THP Tracking Center website.